Every so often I go all out and build up a new bike specifically for my needs in terms of local trails, but also with the intent that I’ll be hanging some test bits off of it for long term review. Last year I spent a great deal of time aboard the Evil Following. 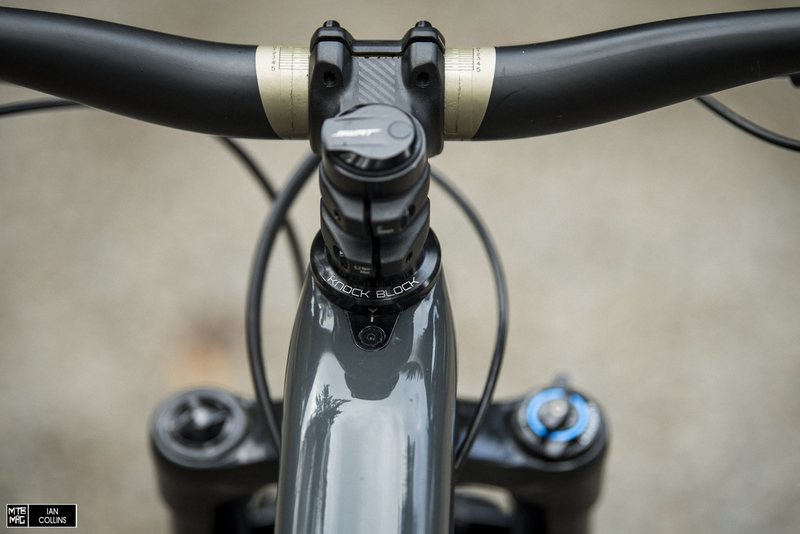 It made me fall in love with the idea of a short travel 29″ bike with aggressive geometry. With some of the local trails leaving me wishing for just a touch “more”, I decided to mix things up a bit this year based off of last years’ experience. While I’ve been riding it in various forms for a few months now, here is the rundown on its current, perfect state. I started with a 2018 Fuel EX frame in 19.5″. It has 10mm more travel than the Evil Following. After riding the Evil Calling, I fell in love with the RockShox Super Deluxe RCT. 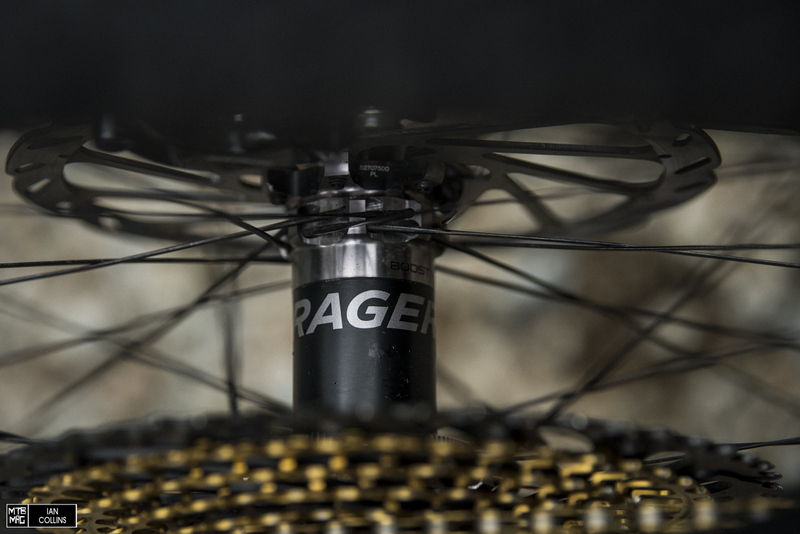 In my personal opinion & experience, it’s the best air sprung shock that I’ve ridden to date. 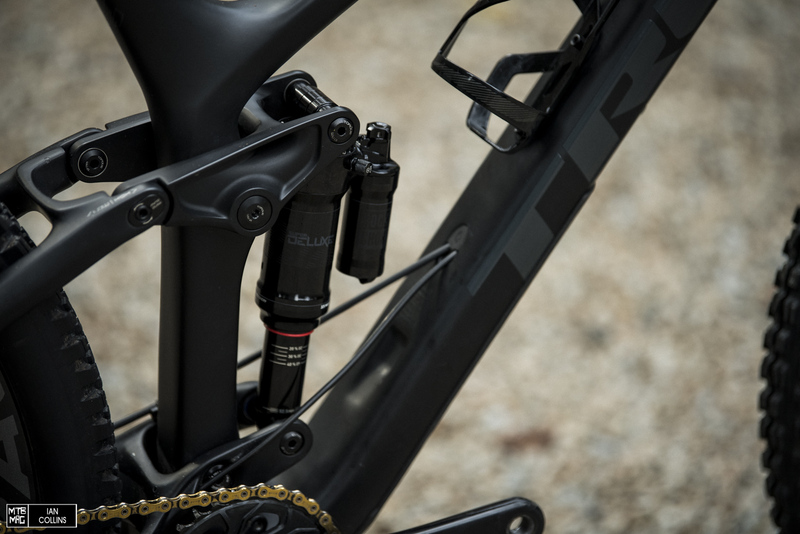 The stock Fuel EX frame ships with an Fox inline shock featuring the new “Thru-Shaft” technology. Performance wise, I thought it sat somewhere in between an inline shock and one with a reservoir. I was looking to push this bike pretty hard so I opted for a reservoir. 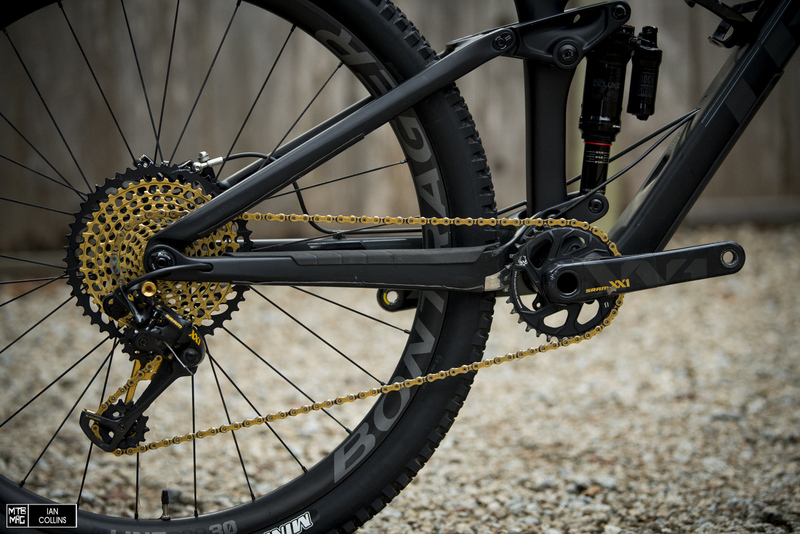 SRAM’s Eagle XX1 1X12 drivetrain group is virtually faultless. Huge range, flawless shifting and super light weight, but plenty tough. No brainer. 32Tooth up front and 10X50T out back. This has been my first bike with a new RockShox Pike. So far, I’m quite impressed. 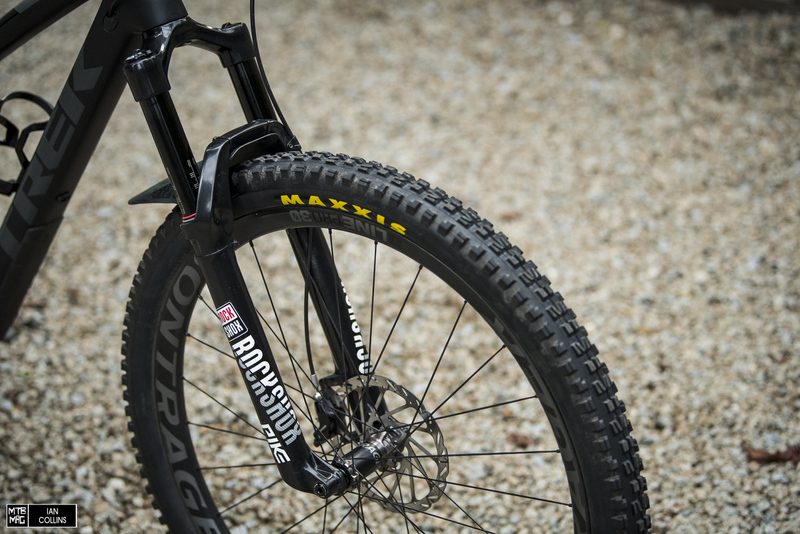 I don’t understand how RockShox managed to strip away weight, while slightly improving ride quality and keeping the chassis feel about the same, in terms of steering and stiffness. 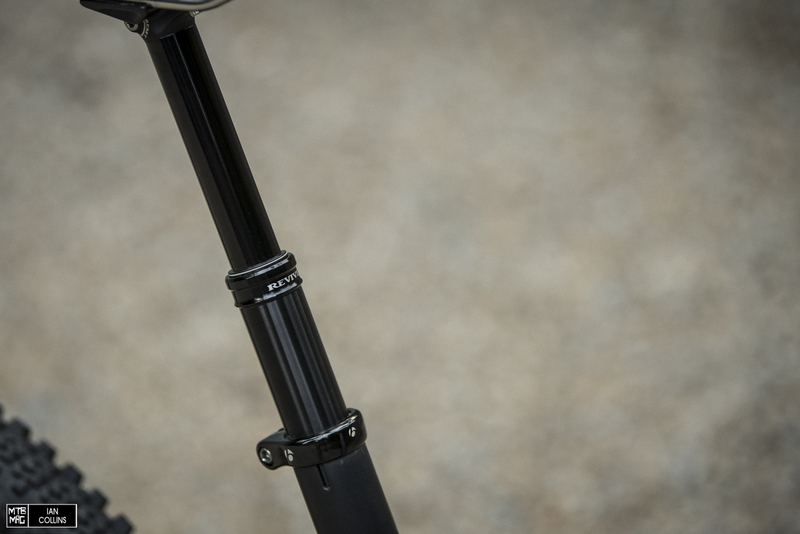 The RockShox Super Deluxe RCT. 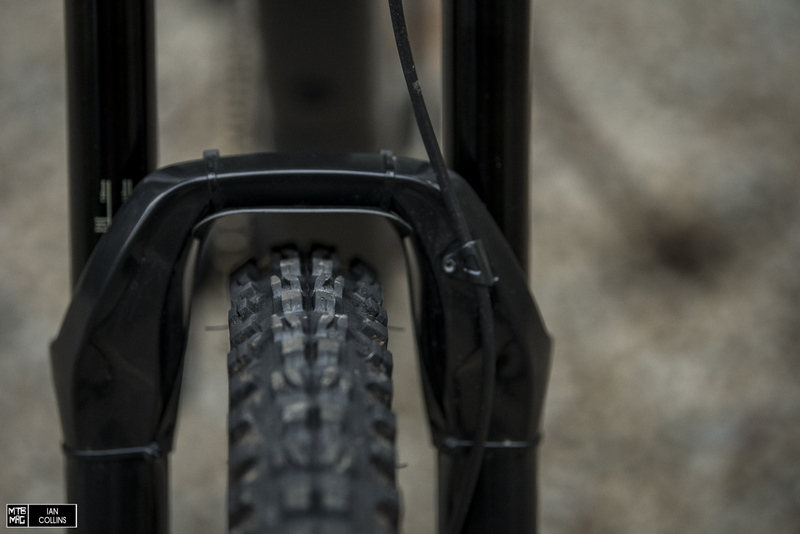 It’s a really tight fit and not an off the shelf shock from RockShox. The Mino Link is clutch. On really, really long days that are more conservative rides, it only takes about 2 minutes to put this bike in the high/steep position and make the climbs more tolerable. For the most part I just leave it in the low/slack position though as the trails I typically ride down are quite steep. 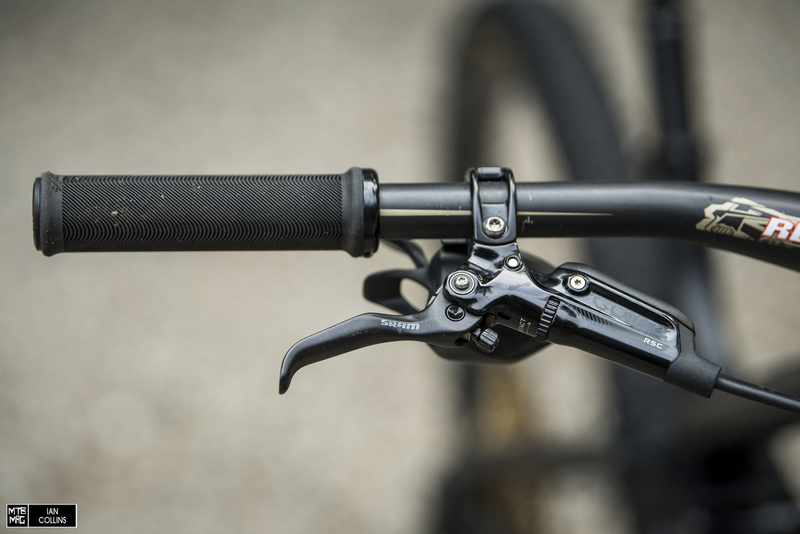 Guide RSC brake levers. Not quite as baller as the Guide Ultimate, but every bit as functional. 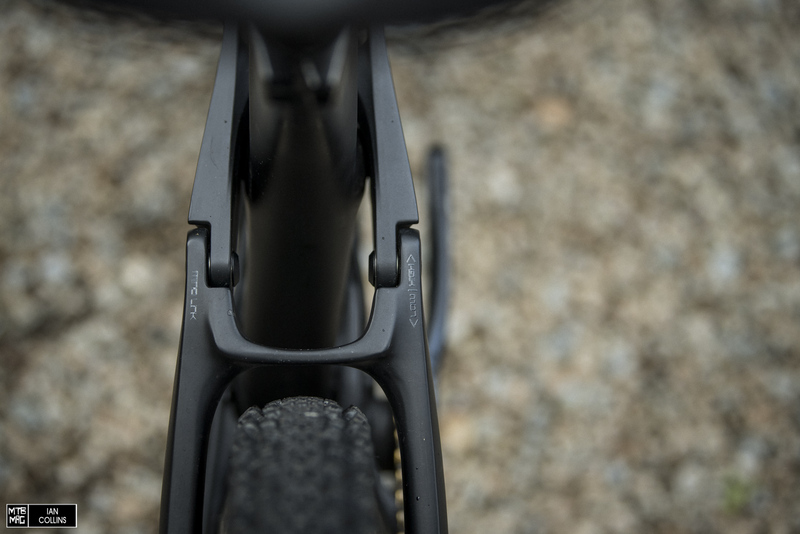 Cartridge bearings at the lever blade pivots are key…No slop! 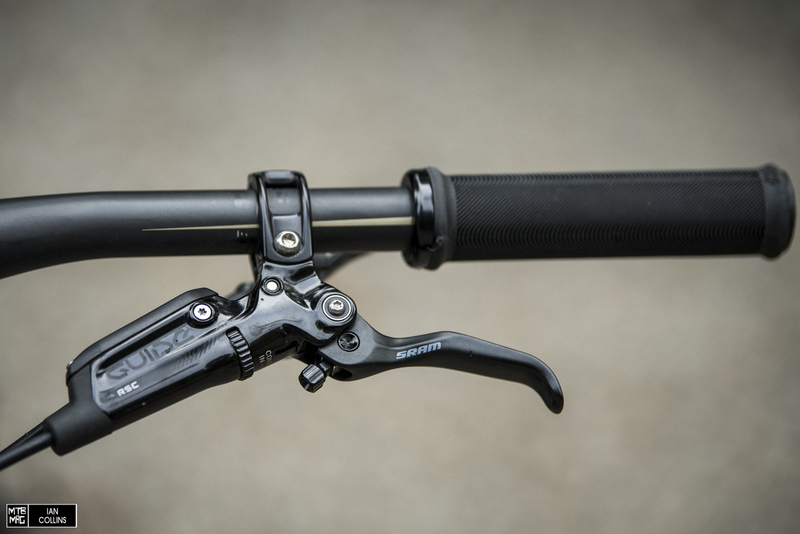 Contact point adjustment is also a nice feature, but I’m not super picky about aluminum vs. carbon fiber lever blades. 185mm Bike Yoke Revive dropper seatpost. We’re currently in the middle of a long term test on this and it’s really hard to not give everything away, but so far we like the action and the fact that it’s easy to just reset the post with a 4mm allen key. Positive feel, nice craftsmanship, loads of travel and really stiff in terms of resisting flex. More on this later. 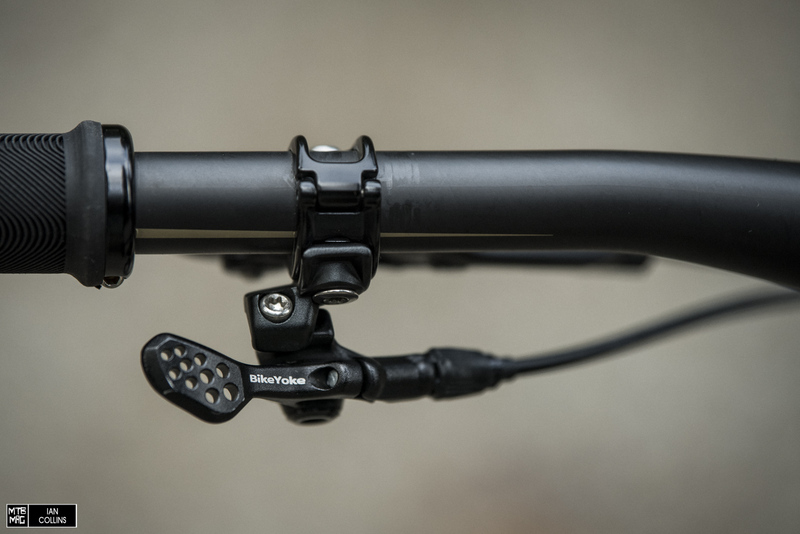 We almost forgot..The Bike Yoke dropper has a great lever. It just makes sense and feels right. Guide RSC Brakes and old school G2 Rotors. They aren’t quite as quiet as the newer Centerlines, but damn they’re strong. It’s surprising how well they’ve worked on the steeps considering I’m only running 180mm front and rear. The “Knock Block” was met with mixed feelings and some riders accused it of being a bit gimmicky. Having spent a great deal of time on two bikes with it, I can honestly say that I don’t even notice it until I crash and my ‘bars are still straight. No complaints here. 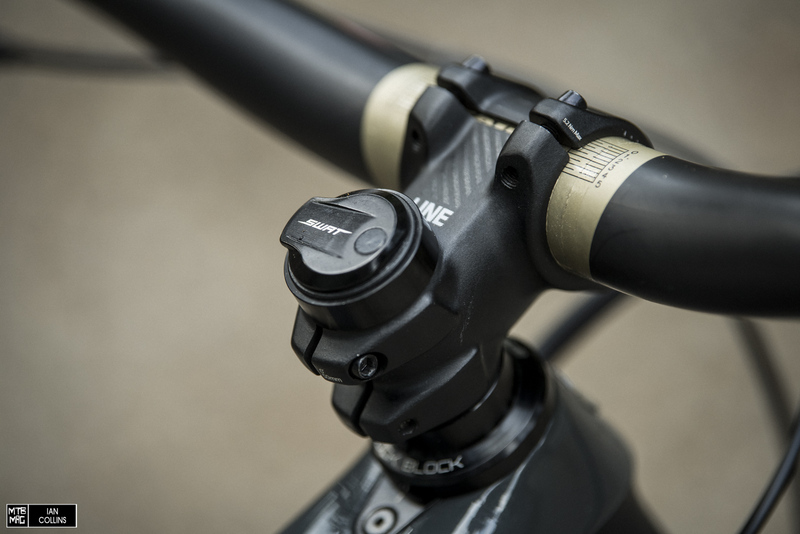 The rear hub features 108 points of engagement, which translates to virtually immediate engagement. On the technical climbs and sprinting out of corners, this was quite nice. 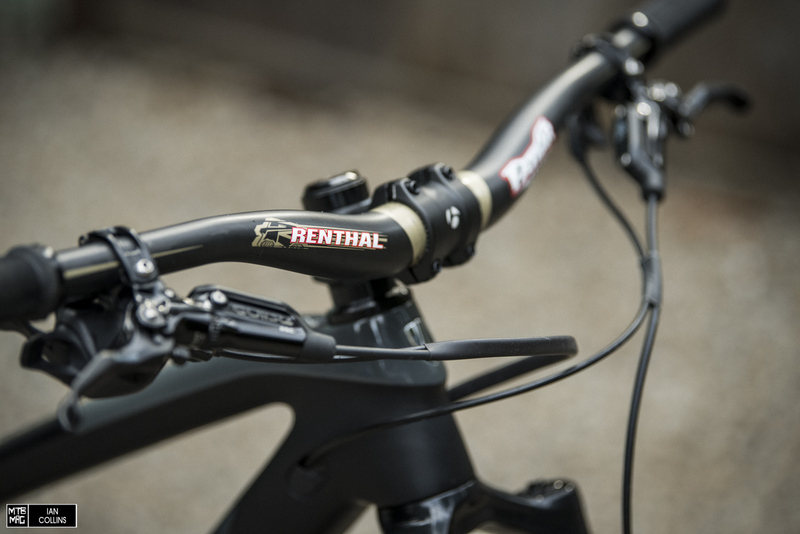 It’s hard to go wrong with a Renthal Fatbar carbon fiber bar. 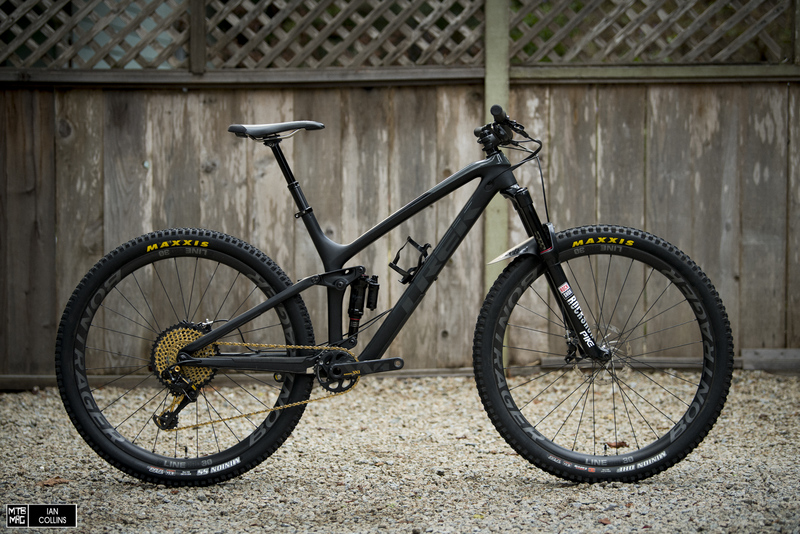 It’s DH bike rated but feels really good if you’re getting rowdy. At 800mm wide, I leave it uncut for lots of control and leverage. It takes the edge off nicely but is plenty stiff. Sensus Lite grips. Simply the best grips that I’ve used to date. 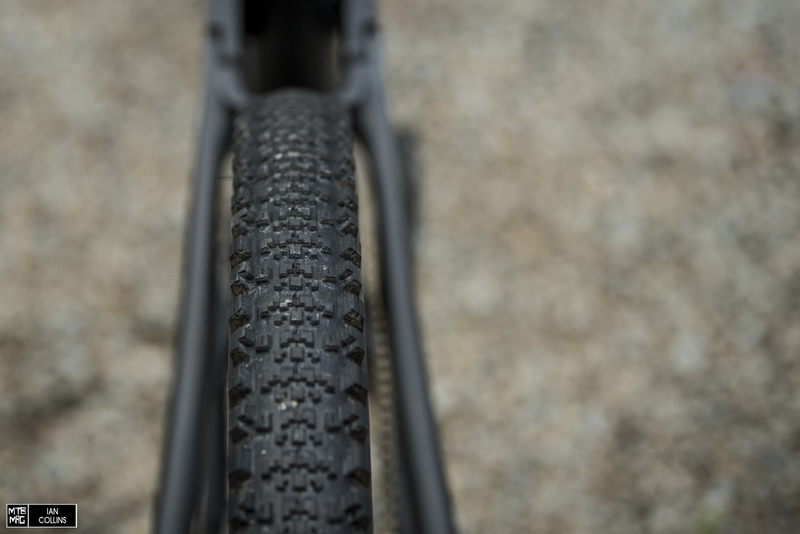 Maxxis Minion DHF Tire in 2.3″ width. Perhaps the most classic tire of all time. I leave the Marsh Guard on all year. 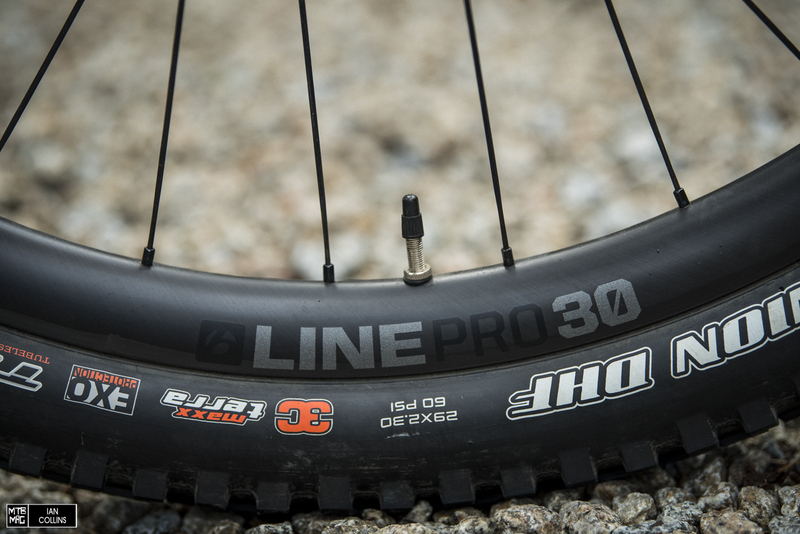 The Maxxis Minion SS has proven to be surprisinly good. With the same, proven Minion side knobs, the cornering feels just like home, but it rolls faster. 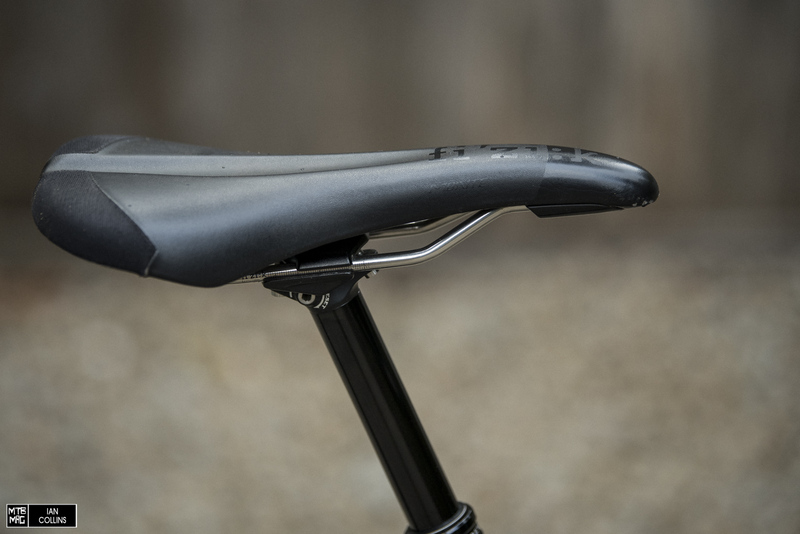 The Fizik Monte Kium saddle. Still my personal favorite. It’s a bit like a refined WTB Silverado, but better in many ways. Last but not least, the Specialized SWAT CC. It’s only available as OEM on 2018+ Specialized, but if you can scrounge one – you won’t regret it. An easily accessible multi tool/headlock all in one. Brilliant! 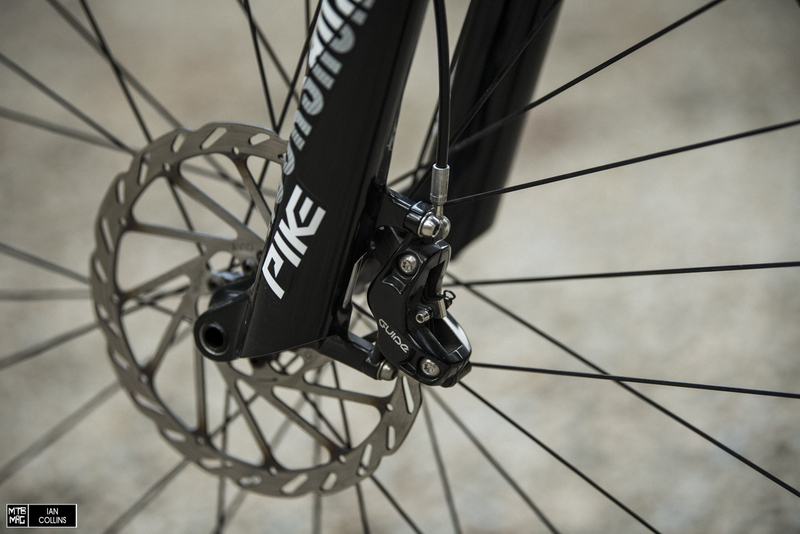 Look for upcoming reviews on the wheels, seatpost, and fork in the not so distant future.